Too many people to thank, but I do want to mention Sandra Fountain who arranged and sponsored the talk in Raleigh. She works with Catholic Scripture Study International and we had a great turnout of fun and on-fire Catholics — many of them recent converts. I gave my conversion story and Gail Buckley gave a wonderful talk on the Bible in the Catholic Church. 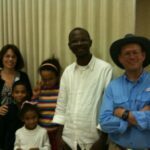 The first picture is of the Mensah family who we knew from Christ the King in Ann Arbor. Janet and I are the godparents for their oldest daughter Hannah. I would also like to thank Gail Buckley (picture left) and her husband Tom. Gail is the founder and president of Catholic Scripture Study International. I highly recommend that all Catholics start — or join a CSS in their parish or home. I am very excited about his wonderful program — so much so that I write many of the studies). She drove me from Raleigh to Charlotte where she and Tom hosted me in their beautiful home. Thanks to Fr Remo of St. Thomas Aquinas Roman Catholic Church for being a great Franciscan priest, but for also sponsoring me to speak at his parish. I loved sharing my Conversion Story along with the life of St. Paul and a Defense of the Eucharist (my talks here). 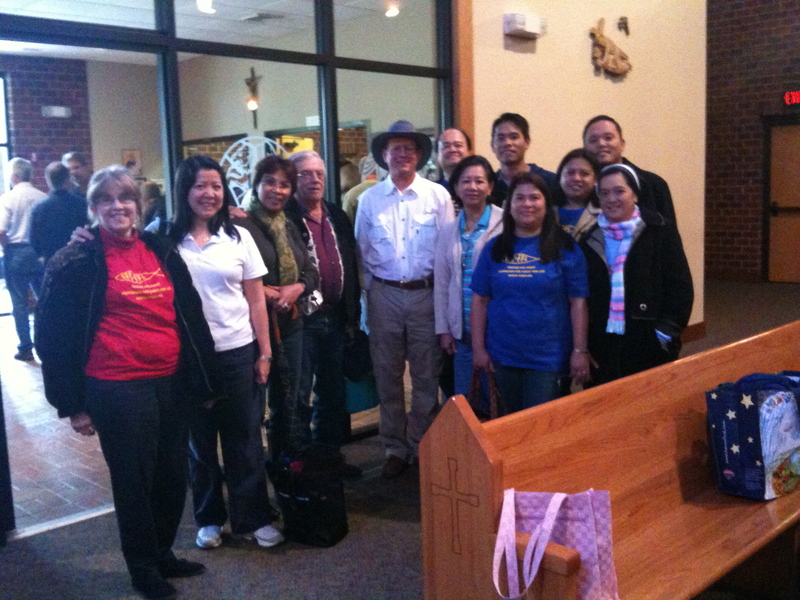 He is tentatively planning to bring his parish to the Holy Land with us in February 2011. 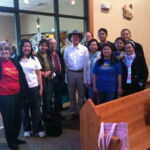 The second picture is of the wonderful Filipino Catholics who attended my talks. I have a soft spot in my heart for the Filipino people and it was a joy to see this enthusiastic group from all my favorite places in the Philippines. I shared with them my Open Letter to the Filipino People where I give tribute to these wonderful Catholics. If you know a Filipino, please print out my letter and give them a copy. This week Adam Henriksen will again come to our home and work on our website. By the first of the year the whole site will be updated and beautiful! Thanks to everyone for their prayers and support. We love you all!